A streamlined and comprehensive approach to payroll software. Manage everything from employee payslips to workplace pensions in a couple of clicks. Automatically assess employees and enroll them in a qualifying scheme. 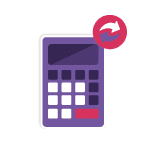 Calculate employee and employer contributions, and automatically create the correct documents for employees and pensions providers. Learn more. Update employees’ pay details to include car fuel allowance, sick pay and more. Pay your workforce weekly, monthly or a mix of both, and include easy-to-create Opening Balances for each new employee. With automated payroll, your data is processed in one go at the end of the week or month. This doesn’t require extra user input, giving you a hassle-free and fast way to pay your team. KashFlow’s Payroll software includes information pointers on terms and concepts like Tax Calculation Method, so both you and your employees always know what you’re looking at. Update employee records from anywhere and keep them stored safely on the cloud. With the same security as online banks, KashFlow will keep your data safe. Every employee can access payslips and their individual data from anywhere, at any time, to cut down your admin time. 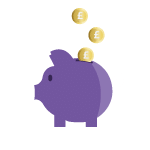 Transfer pay details into your books for a comprehensive look at your business finances – ideal for profit and loss accounts and other financial reports. 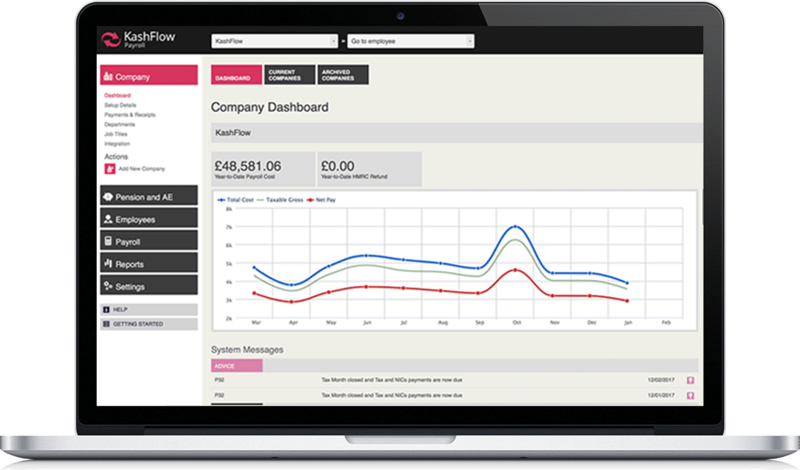 Edit payslips and KashFlow’s payroll software will update your payroll run. It also automatically submits your Real Time Information (RTI) submissions of P60s or P11D forms when you’re done. If you’re new to payroll, and still wondering whether to adopt payroll software for your business, you’ll probably find the next section useful. Payroll software is a digital business solution designed to simplify the process of paying employees. Using payroll software for a small business has a number of advantages. It can cut down your workload by automatically producing payslips, P45s, P60s and other forms. It also reduces the room for error by automatically deducting tax and National Insurance Contributions for you and sending tax returns. Further to this, you can automate tasks like year-end reporting. 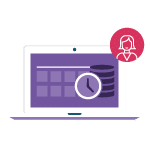 With payroll software, you can schedule recurring payments, either weekly or monthly, to help get your employees paid on time. As KashFlow Payroll supports a wide range of BACS file formats that you can download and feed in to your banking software, you can pay employees automatically too. If this is your first time hiring someone, then you’ll need to register as an employer with HM Revenue and Customs. Registering as an employer can take up to 6 weeks, and it must be done before the first payday. Note, however, that you can’t register more than 2 months before the first payday. The majority employers can register online, which you can do here.  Once you’ve registered, add your employee details into your KashFlow Payroll software and report pay, deductions and other relevant information to HM Revenue and Customs. Accountants: Please contact 0843 357 1830 for our competitive accountants tariff. 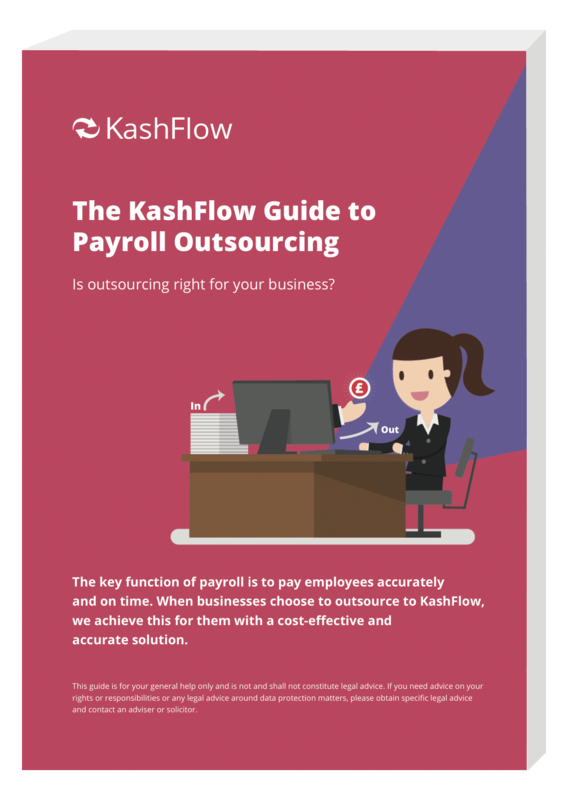 See how KashFlow Payroll manages everything from employee payslips to workplace pensions in a couple of clicks.